Irwin Kuhn takes a caring approach to helping guide people through family law matters efficiently and without adding unnecessary conflict. Divorce can be one of the most stressful life events so how people get divorced matters. The choice can have long lasting effects on themselves and their families. Irwin approaches divorce more as a set of problems to be resolved not as a battle to be won. He works on family law matters both as an advocate for individual clients and as a mediator for divorcing couples. Irwin is rated AV by Martindale-Hubbell, its highest rating for legal ability and ethical standards, which is based on reviews by fellow attorneys. Irwin brings over 30 years of wide-ranging legal and mediation experience to Venick, Kuhn, Byassee, Austin & Rosen, PLLC law firm in Nashville. Irwin’s primary focus now is on handling family law cases, including divorce and pre-marriage and post-divorce matters. His past experience handling small business litigation is helpful in understanding financial issues often at the core of family law matters. Irwin was among the first Tennessee lawyers to be trained in collaborative family law practice and one of the most experienced. As a collaborative lawyer, Irwin works with the other party’s attorney in an effort to resolve family cases fairly with minimal intervention of the court Irwin is co-chair of the American Bar Association Committee on Collaborative Law, and the Tennessee Bar Association Subcommittee on Collaborative Family Law. Irwin is a founding member and past President of the Middle Tennessee Collaborative Alliance. He rejoined the board in 2018. He is a member of the International Academy of Collaborative Professionals and serves on the Access to Collaboration Committee that focuses on new and streamlined approaches to collaborative practice. Irwin has spoken about collaborative practice to groups of lawyers, financial professionals and mental health professionals in Nashville and Memphis. His articles on collaborative family law have appeared in the Nashville Bar Journal and the Nashville Tennessean. Mediation is another important focus or Irwin’s practice. He was first certified as a Tennessee Supreme Court Rule 31 mediator in January of 1998 in general civil cases. In 1999, he received additional certification in family law cases. In 2018, Irwin presented to the Spring meeting of the Family Law Section of the American Bar Association on Choosing Dispute Resolution to Fit Your Client’s Needs. Irwin also helps people with prenuptial agreements before their marriage and postnuptial agreements after their marriage and has led continuing legal education on those topics to the Nashville Bar Association. Irwin Kuhn is a lawyer native to Nashville. He received his undergraduate degree from Vanderbilt University in political science and history. Irwin received his law degree from Benjamin Cardozo School of Law in New York and was admitted to the Tennessee Bar in 1984. Irwin worked as a legislative assistant and speech writer for Senator Jim Sasser in Washington, D.C. where he focused on legal matters before the Senate Judiciary Committee, and the Committee on Commerce, Science and Transportation. Shortly after returning to Tennessee, Irwin served as a law clerk to Justice William J. Harbison on the Tennessee Supreme Court. Irwin was one of three finalists selected by the Tennessee Judicial Selection Commission to fill a vacancy in the Circuit Court that handles family matters in Nashville. Irwin is a Founding Member of the Tennessee Association of Professional Mediators and is a member of the American, Tennessee, and Nashville Bar Associations. He is a recent member of the Board of Directors and Executive Committee of the Nashville Bar and served as First Vice-President. Irwin is a Fellow of the honorary Nashville Bar Foundation. 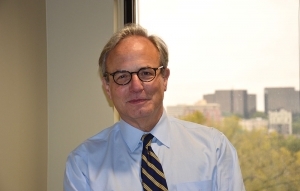 He is a member of several sections of the three bar associations, including the family law and alternative dispute resolution sections of each. Irwin is past President of PEACE, an organization combating domestic violence. He is also a former President of the Nashville Ballet, and Vice Chairman of the Metropolitan Human Relations Commission. Irwin is a former member of the Board of Trustees of University School of Nashville. Irwin served on the transition team for Nashville’s Mayor Karl Dean. Irwin and his wife Diane have three adult children.